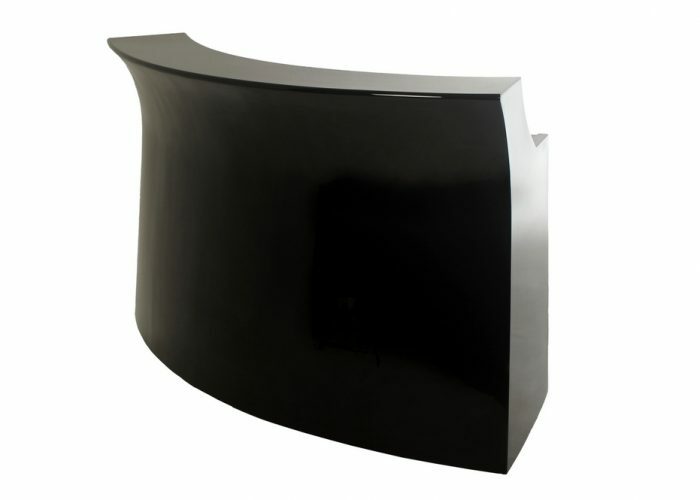 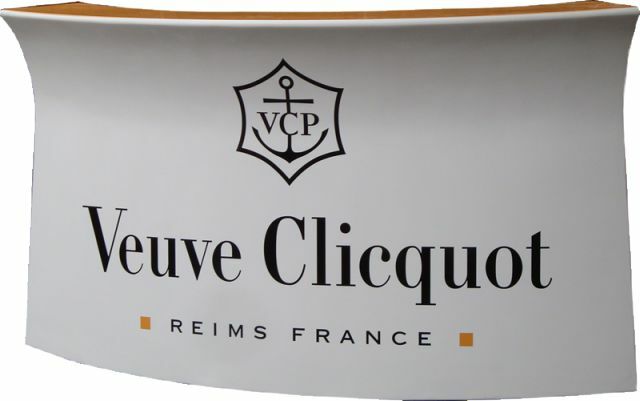 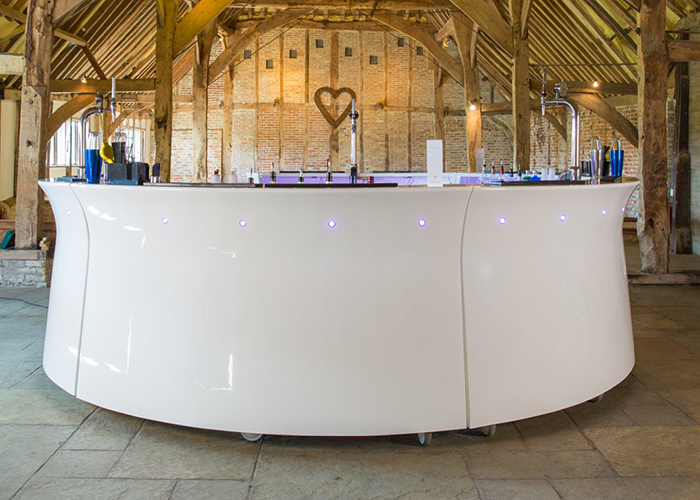 Our only curved bar, the Ocean Mobile Bar can be used as a stand-alone bar, or joined with others to make a semi or full circle. 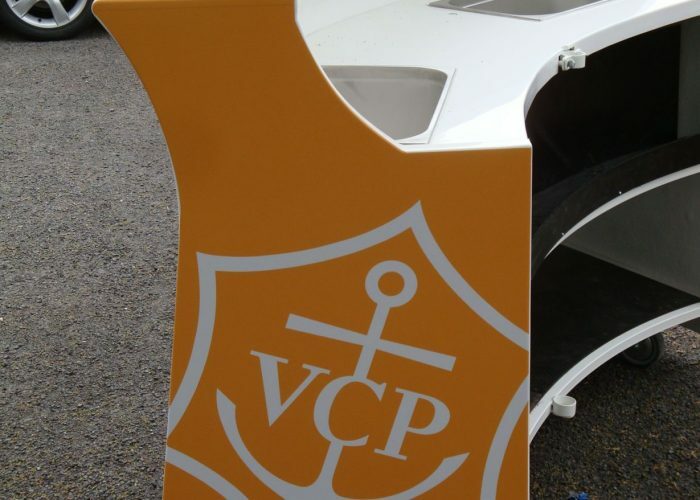 If you’re looking to create a feature bar at your venue, the Ocean Mobile Bar is worth investigating. 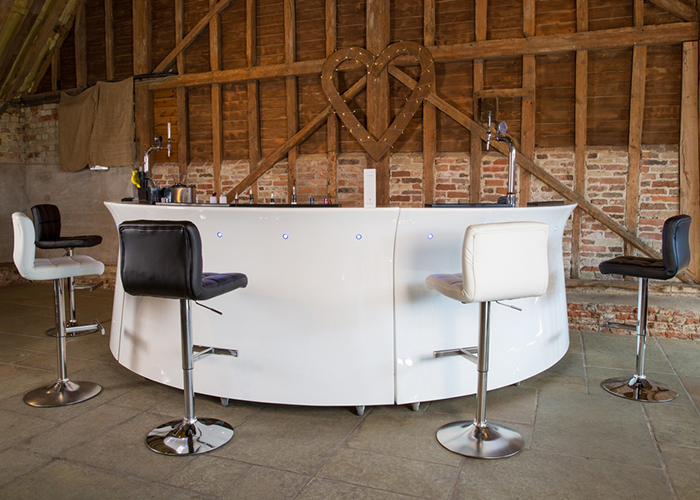 Ideal for wedding venues, sports venues, hotels, and theatres, the Ocean Mobile Bar is designed to serve as a themed bar, helping you to ease queues for highly sought-after drinks such as Champagne or Pimm’s. 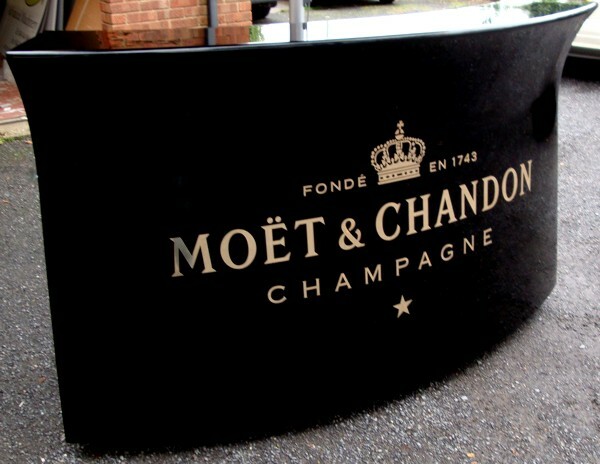 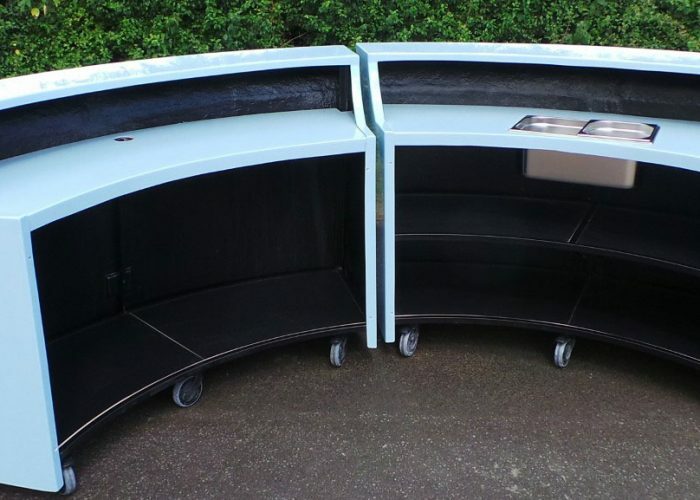 A full circular bar, made with 5 Ocean Mobile Bars, will have a diameter of 4 meters with a 1 meter gap for access. 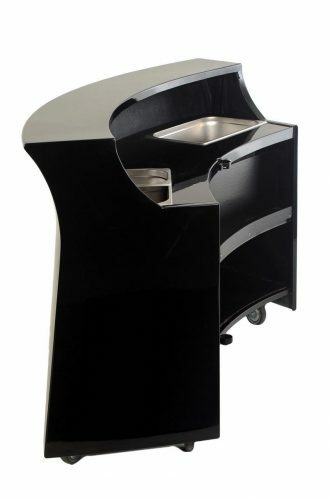 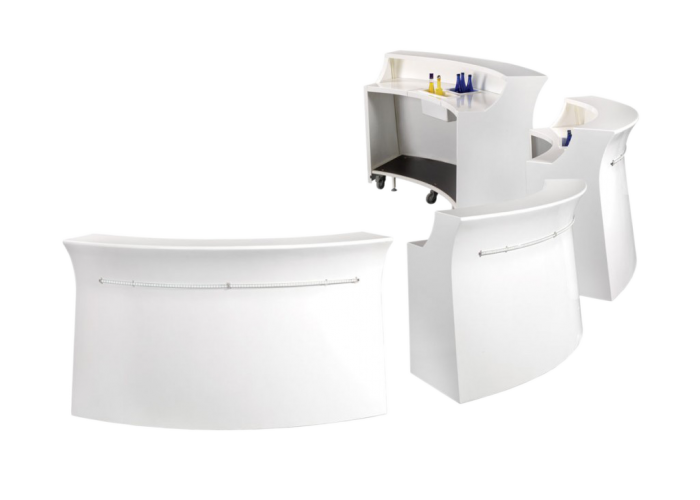 The Ocean Bar is designed to function as a stand-alone bar, but can be joined with 3 further bar modules to create a semi-circular bar, or 5 further modules to create a full circular bar. 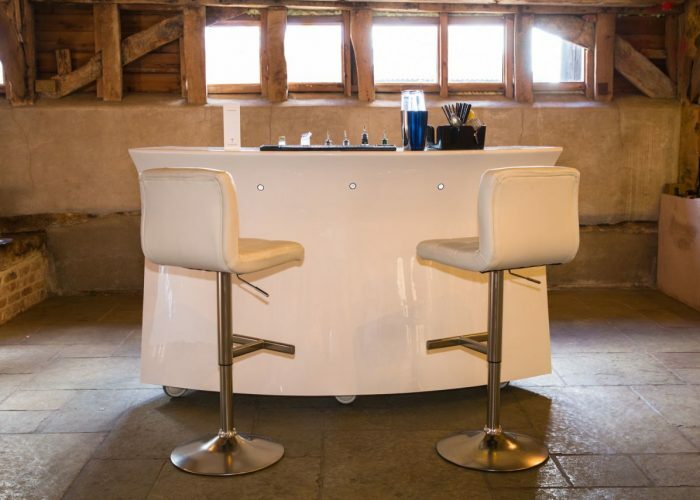 The Ocean Bar has the ‘wow’ factor, and can make any venue seem instantly stylish and luxurious. 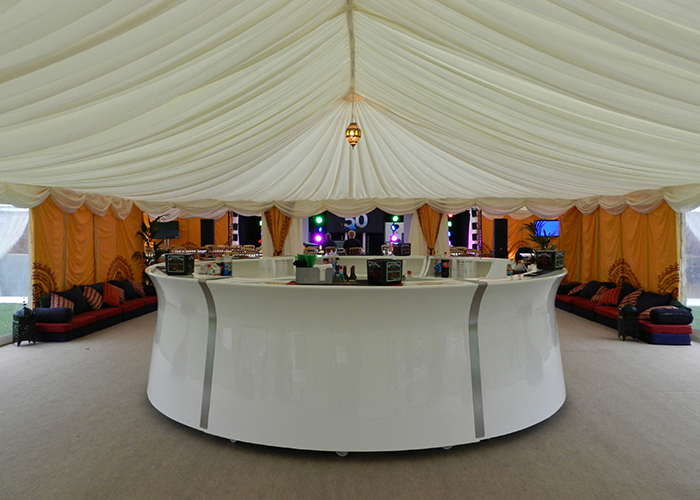 As a full circular unit it can be used as the focal point of a venue, but splitting it into separate modular units can offer a variety of sleek and sophisticated temporary options. 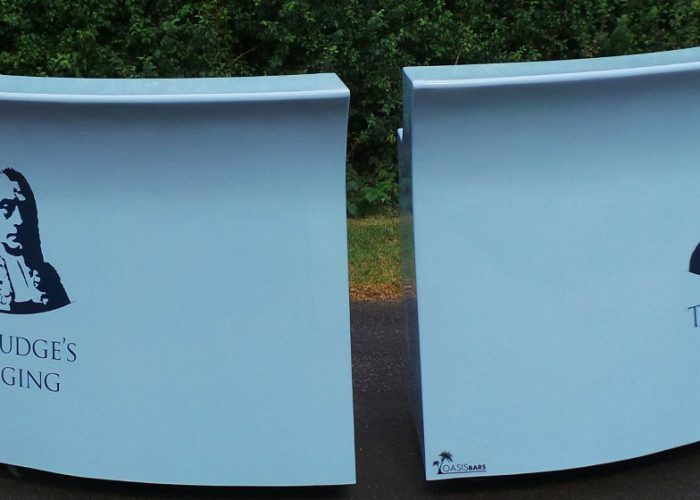 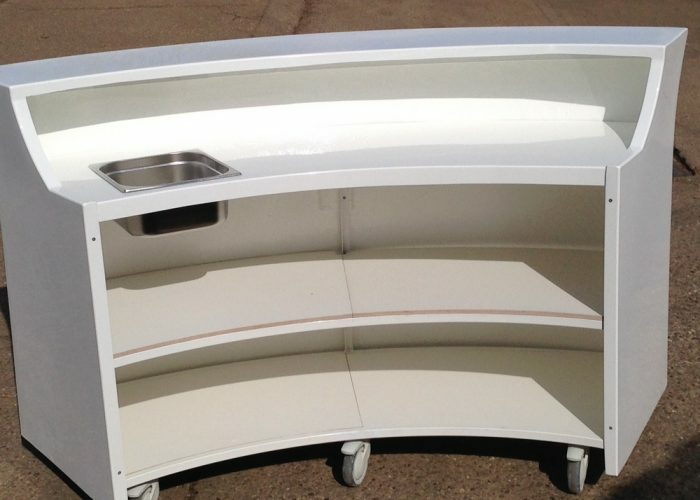 As it is made from GRP and fitted with 5” castors (some with brakes), the Ocean Bar is lightweight and easy to transport, yet stable in situ. 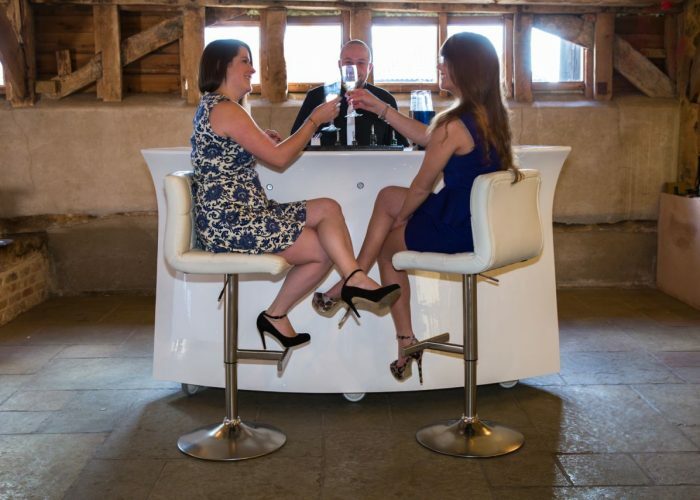 The Ocean Bar is completely waterproof and will not fade in the sunlight, meaning that it can be used both inside and outside of your venue. 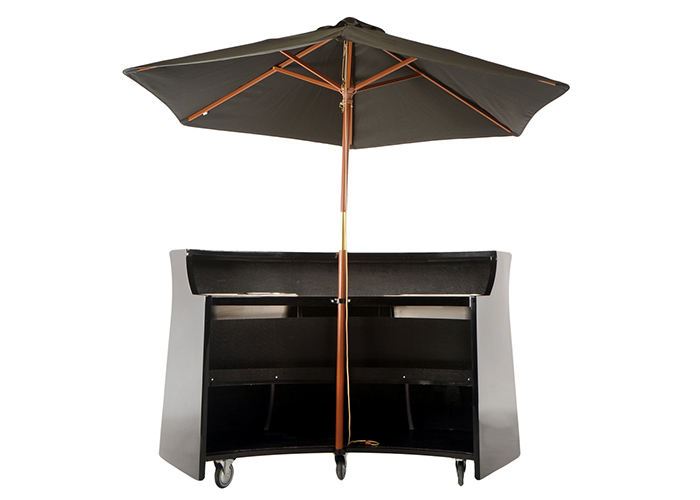 This makes it perfect for outside sporting events, outdoor weddings, and theatres. 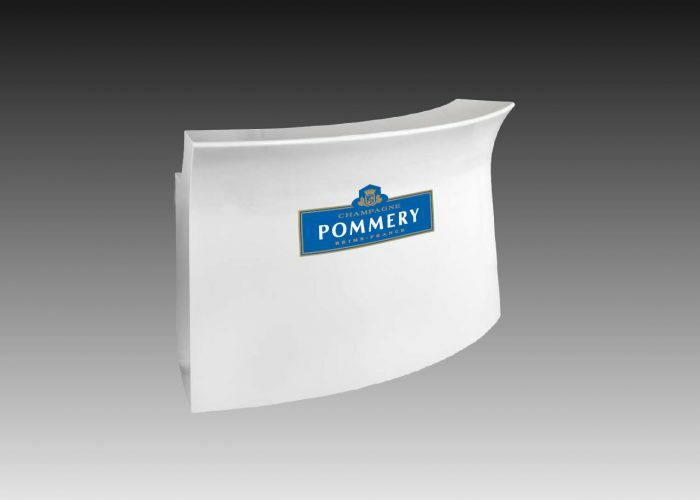 The Ocean Bar is available in all colours, meaning that you can choose to match it to your brand colours, business logo, or colours that complement your location. 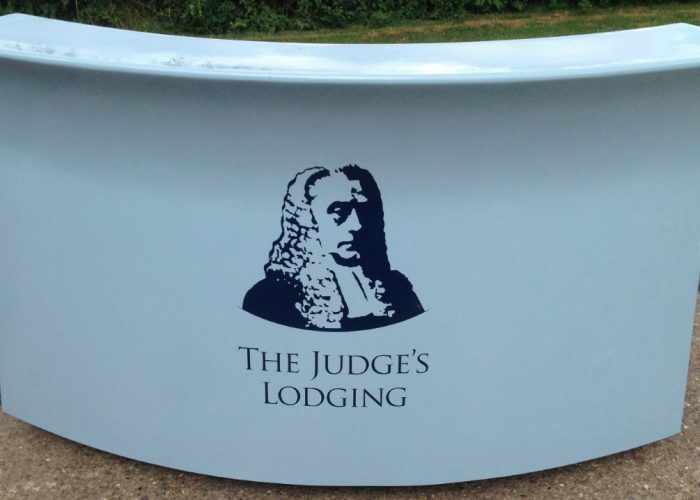 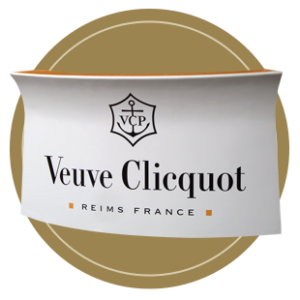 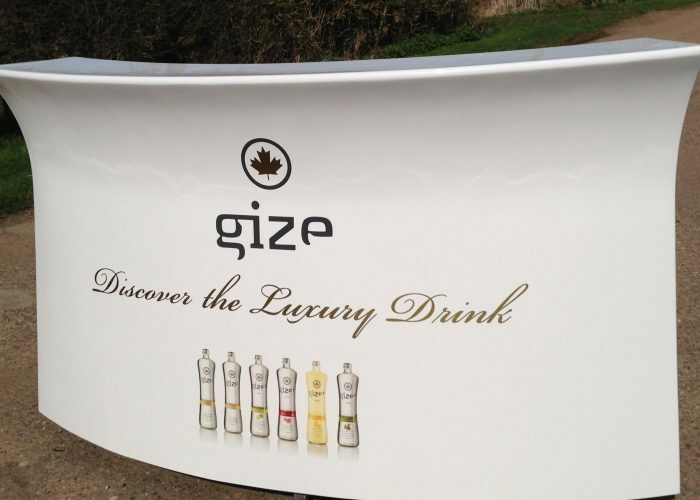 Graphics can also be applied, such as your logo, or product pictures.